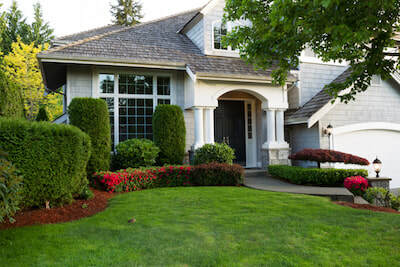 Boerne Landscaping Pros is a professional landscapers and lawn care providers serving Boerne, Fair Oaks Ranch, The Dominion, Helotes and the surrounding areas. With over 8 years of experience working at various homes and businesses, our landscapers have a special understanding of the lawns, soil, and greenery of Boerne, which helps us to provide the best service to our clients. Our team of experienced, educated technicians work every day to improve the quality of lawns, install sod, and build landscape features. We provide services including landscape design, gravel installation, landscape lighting, commercial landscape design, and basic lawn maintenance in Boerne. We know that lawns are personal – out landscapers want you to have the best one in your neighborhood. Even if we don’t want to admit it, most of us have a competition with our neighbors – who has the best gardens, the best lighting, and the most manicured lawn. 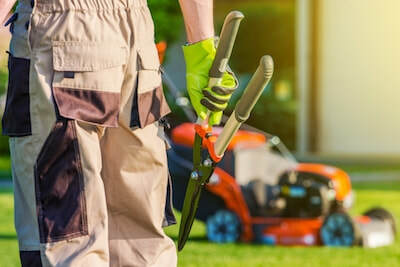 Whether it is the start of the growing season or you need some help before some bad weather hits, our landscapers will be here to help your yard get into fighting shape. Our landscapers have years of experience, so contact our professionals today. We are happy to help you with the following residential and commercial services. 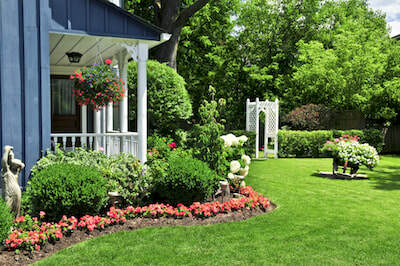 ​Our team of landscapers work diligently to provide creative landscape designs for your home or business. Our landscape design team is a creative bunch that will help you envision your perfect design and then put a plan in place to execute everything. We will work within your budget to deliver a final look that you will love. We understand that people have different ideas and some prefer a simple design while others might want something more extravagant. Our landscape design team has years of experience to provide you with exactly the look you are going for within the budget you have. We hire and train only the best people to manage and deliver to our clients. From mowing lawns to large scale projects, we have the crews and the expertise to handle just about any job. We offer competitive pricing and all our work comes with our 100% satisfaction guarantee. We have worked hard to keep our excellent reputation growing and we'll work just as hard to make sure our clients expectations are exceeded. We know that landscapes can add an amazing look to your home or business and we are dedicated to making those dreams a reality. At the end of the day, our clients count on us to give their landscapes an amazing look. There's nothing like coming home to an amazing yard, or having your employees dazzled by the look of their workplace. We are your one stop to make all your landscaping needs a reality. Give us a call so one of our landscape designers can schedule a free consultation. We provide personalized project management for residential and commercial properties. Our team works to build and maintain beautiful yards and beds, enhancing the natural features of your yard and bringing value to your property. With landscape design and maintenance are personalized for your yard, home, and family, you will find that your overall quality of life and well-being improves as well. Our team has years of experience as Boerne landscapers in building and maintaining styles of all kinds, from simplistic and straightforward to showy and ornate. We never forget that we are guests on your property and our job is to leave your property clean, safe, and better than we found it. We will always strive to keep an open line of communication with you as we work on your property. 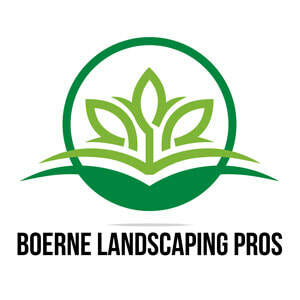 Give us a call today for Boerne landscape design or maintenance. Lawn not looking so great? Need some sod installation? After every storm do you have torrents of muddy water running down your yard? 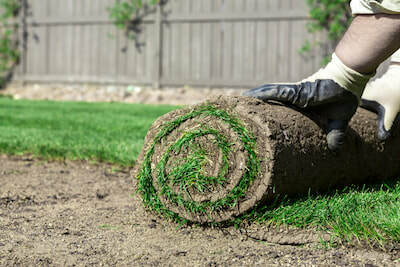 Sod is a reliable and effective way to solve those problems and get a yard that will make your neighbors jealous. For sod installation, our sod is farmed at nurseries and traditional farms and then cut into pieces for lawn installation. Our team will transport it to your home for sod installation. The techniques that we use ensure that the sod will take and meld together, forming a beautiful lawn for you. Our team will work with you to get the best possible lawn, going above and beyond to not only ensure that the sod installation is completed properly, but that our team continues to help you during the settling process. As a lawn mowing service in Boerne, we care about what your yard looks like, whether the grass is evenly cut, whether or not your grass is growing properly, and treating any problems that can occur when you mow a lawn. 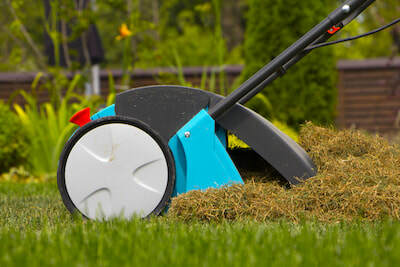 We understand that Boerne lawn mowing is something that requires skill and knowledge – no two yards are the same. Individual attention to detail, multiple lawn mowers, and even updated knowledge on unique tools and techniques helps our team stand out above the rest. For residential lawn maintenance, mowing, and more, contact us today. 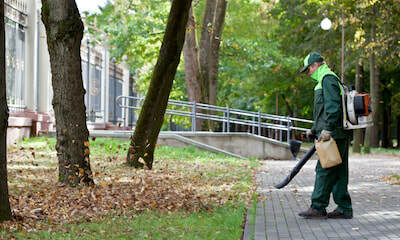 Our team understands the need for clean, beautiful grounds. Can you imagine walking into a doctor’s office where the grass is overgrown? Or a restaurant where there weeds growing into the sidewalks? What your commercial property looks like says quite a bit about your business. We pride ourselves on meticulous attention to detail and quality service. Our team will get to your site on time with the proper equipment, working to ensure that your property is safe, beautiful, and ready for business. We focus on wellness and keeping your lawn and landscaping beautiful in every season. Of course, our team will always have a professional demeanor and wear uniforms so that, if we are working during business hours, everyone will feel comfortable coming into your business. Commercial lawn maintenance is vitally important, whether you are a large business or a small one. Landscape lighting adds drama and beauty to your yard – illuminating landscaping and hardscaping features as well as your home. At the same time, landscape lighting keeps your home safe, especially if you come home later at night and want to be able to see who or what may be lurking in your yard. Outdoor lighting can be personalized to your needs with a custom designed project. Highlight parts of your yard that you want, set the scene for nighttime parties and events, or just to add something extra to your home. 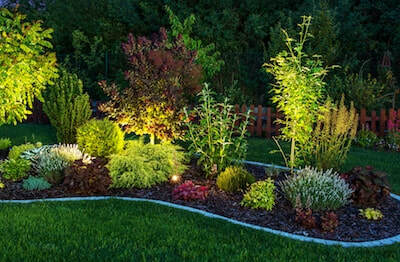 Landscape lighting can go near your home, around walkways, or even near pools and water features. Our team has years of experience installing outdoor lighting systems in Boerne. Once installed, our dedicated maintenance team can update or service any outdoor lighting. Interested in having better soil for gardening? Whether you grow flowers or vegetables, your soil needs to have the right balance to have the best results. We are passionate about using high-quality soil that will encourage growth and sustainability. The best soil will hold water, prevent weeks, and even keep plants and trees healthier. Improve the quality, yield and appearance of your plants year-round with proper soil. 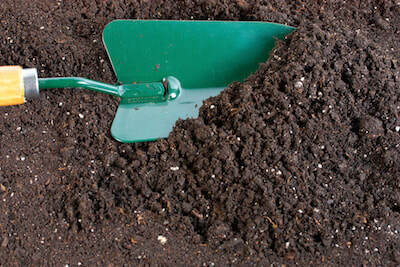 We can also help with soil testing and clearing garden space for more soil. Everything in your yard comes out of the soil, from the trees to the grass to the weeds, so you need to ensure that your soil is as healthy as it can be. Aeration helps your lawn to recover from excessive drought, freezing weather, and immense amounts of food traffic – all of which can lower the quality of your soil and make your lawn decompose. Of course, we have all seen those silly images of people walking around their yards in cleats, but there is far more to it than putting a few divots into the ground. ​We break up some of the overlap in your yard, allowing turf grass to grow and fill in, resulting in a thicker, fuller lawn quality. Aeration provides a healthier, more vibrant yard that is resistant to thinning, dying off, and even weed growth. If you are already seeing these problems, aeration and then seeding perfectly accompany each other to give your lawn the best chance of flourishing. Composting is another service that we offer. Composting takes much of the natural matter found in your yard – grass clippings, greens, weeds, branches, leaves, and other pieces of organic matter, and treating them. Once given time, they turn into soil (or can be added to soil) to help create the perfect environment for your gardens. Composting is one of the best ways to clean up your yard, especially in the spring, because it is better for the environment and will help you to have a healthier yard. Composting organic matter can reduce the need for chemicals in your yard, which will make everything better. To see if aeration and/or composting is a possibility for your yard, contact us today. 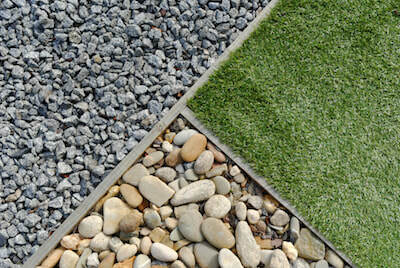 Gravel, mulch, and/or river rocks can be used in any number of landscaping and hardscaping projects in your yard. When used properly, it can help to keep your yard in place, add beauty to your gardens, and even line areas where you want living space. Not all materials are created equally – you want gravel that looks great, is easy to maintain, and won’t float away at the first signs of water. Our team has the experience to choose a liner that will work the best for your yard. Then, we can transport, install, and maintain your gardens, pathways, and anything else you want to adorn. Mulch, in particular, is a great resource for many yards. Mulch helps keep moisture in, reducing the need for irrigation systems. Natural mulch is the best because it doesn’t interfere with the acidity and chemical levels of your soil. Give our team a call today. We can advise you on any projects and work with you to get the lawn and yard of your dreams.